1. Climate Change 2007 The Intergovernmental Panel on Climate Change (IPCC) has been established by the World Meteorological Organization (WMO) and United Nations Environment Programme (UNEP) to assess scientific, technical and socio- economic information relevant for the understanding of climate change, its potential impacts and options for adaptation and mitigation. 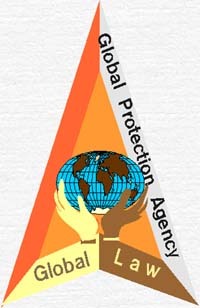 It is currently finalizing its Fourth Assessment Report "Climate Change 2007". The reports by the three Working Groups provide a comprehensive and up-to-date assessment of the current state of knowledge on climate change. 1. Deaths In Other Nations Since WW II Due To Us Interventions, by James A. Lucas , published in Countercurrents.org , After the catastrophic attacks of September 11 2001 monumental sorrow and a feeling of desperate and understandable anger began to permeate the American psyche. A few people at that time attempted to promote a balanced perspective by pointing out that the United States had also been responsible for causing those same feelings in people in other nations, but they produced hardly a ripple. 1. Human Rights And Globalization, by Dr. Samir Naim-Ahmed, published in Countercurrents.org Would globalization enhance the implementation of human rights as stated in the Universal Declaration of Human Rights ( 1948 ) and the subsequent United Nations agreements , particularly the covenant on civil and political rights ( 1966 ), the covenant on economic, social and cultural rights (1966 ) and the declaration on the right to development (1986 )? 2. Human Rights And Globalization, by Dr. Samir Naim-Ahmed, published in Countercurrents.org Would globalization enhance the implementation of human rights as stated in the Universal Declaration of Human Rights ( 1948 ) and the subsequent United Nations agreements , particularly the covenant on civil and political rights ( 1966 ), the covenant on economic, social and cultural rights (1966 ) and the declaration on the right to development (1986 )? 1. Peak Soil: Why cellulosic ethanol, biofuels are unsustainable and a threat to America. There are many serious problems with biofuels, especially on a massive scale, and it appears from this report that they cannot be surmounted. So let the truth of Alice Friedemann’s meticulous and incisive diligence wash over you and rid you of any confusion or false hopes. The absurdity and destructiveness of large scale biofuels are a chance for people to eventually even reject the internal combustion engine and energy waste in general. One can also hazard from this report that bioplastics, as well, cannot make it in a big way. by Alice Friedemann, with Culture Change. Culture Change was founded by Sustainable Energy Institute. The nation that destroys its soil destroys itself. 1. Global Warming Health Effects Higher temperatures over the coming decades are expected to cause more smoggy days and heat waves, contributing to a greater number of illnesses and deaths in the United States, according to international climate scientists. by Jane Kay, The San Francisco Chronicle, TruthOut.org, published in AlterNet: The Mix is the Message, EnviroHealth. 2. Peak Soil: Why cellulosic ethanol, biofuels are unsustainable and a threat to America. There are many serious problems with biofuels, especially on a massive scale, and it appears from this report that they cannot be surmounted. So let the truth of Alice Friedemann’s meticulous and incisive diligence wash over you and rid you of any confusion or false hopes. The absurdity and destructiveness of large scale biofuels are a chance for people to eventually even reject the internal combustion engine and energy waste in general. One can also hazard from this report that bioplastics, as well, cannot make it in a big way. by Alice Friedemann, with Culture Change. Culture Change was founded by Sustainable Energy Institute. The nation that destroys its soil destroys itself. 3. Deaths In Other Nations Since WW II Due To Us Interventions, by James A. Lucas , published in Countercurrents.org , After the catastrophic attacks of September 11 2001 monumental sorrow and a feeling of desperate and understandable anger began to permeate the American psyche. A few people at that time attempted to promote a balanced perspective by pointing out that the United States had also been responsible for causing those same feelings in people in other nations, but they produced hardly a ripple. 3. Human Rights And Globalization, by Dr. Samir Naim-Ahmed, published in Countercurrents.org Would globalization enhance the implementation of human rights as stated in the Universal Declaration of Human Rights ( 1948 ) and the subsequent United Nations agreements , particularly the covenant on civil and political rights ( 1966 ), the covenant on economic, social and cultural rights (1966 ) and the declaration on the right to development (1986 )? Peak soils movement aspects and issues. All sixty one sections may contain any of the following information: abstracts, research papers, notes, outlines, posters, articles, letters, press releases, reports, and newsletters. They may also contain discussions, global dialogues, brain-storming exercises on issues, or just email messages from interested participants and groups. From now on I will be using this space to express my thoughts and communicate them to you. It might not always be coherent thoughts. And not always with a theme. Let us start from the beginning. How have I got to be a spiritual leader? 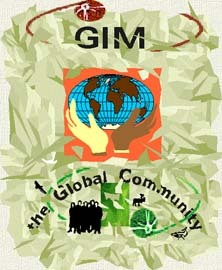 and the expression 'the Global Community' way always left open instead of writing 'The Global Community'. Why? I have always wondered why every time I have signed a letter or a message. Now I know why. It was left opened because something was to come in front of the expression. And that something was 'Spiritual Leader of '. Actually the first time I have signed 'Spiritual Leader of the Global Community' I did not even think about it. I have just signed that way, and then realized what I had just done. As if it was meant to be that way all along. And it all made sense from there on. Looking back at the work we did over the past decades and since my teenager days I was meant to be a spiritual leader. God was there around the corner and God signed my first message as a spiritual leader. And I said yes to God. There are people out there who are spiritual leaders, and I want you to be with us. Our true leader is God. We are here to accomplish God's Will.